Tales of the French Foreign Legion in the deserts of North Africa have fired the imagination of many an adventurous school boy. Richard Jeynes was one. Now, as a (grown-up) archaeologist, his investigation of an abandoned fort of the French colonial empire, is bringing those stories to life. The remote desert outpost of Fort Zinderneuf, from P C Wren’s 1925 novel Beau Geste, manned by rugged, desperate legionnaires and surrounded by camel mounted tribesmen has inspired numerous Hollywood films as well as a range of books of a similar genre. While Wren’s claims to have served in the French Foreign Legion are largely unsubstantiated, the small details of life in the Legion are reasonably accurate. The French Foreign Legion was used in campaigns across North Africa. They built isolated forts that became the focus of military actions way beyond the imagination of novel writers and outposts were frequently defended to the last man during the early part of the 20th century. 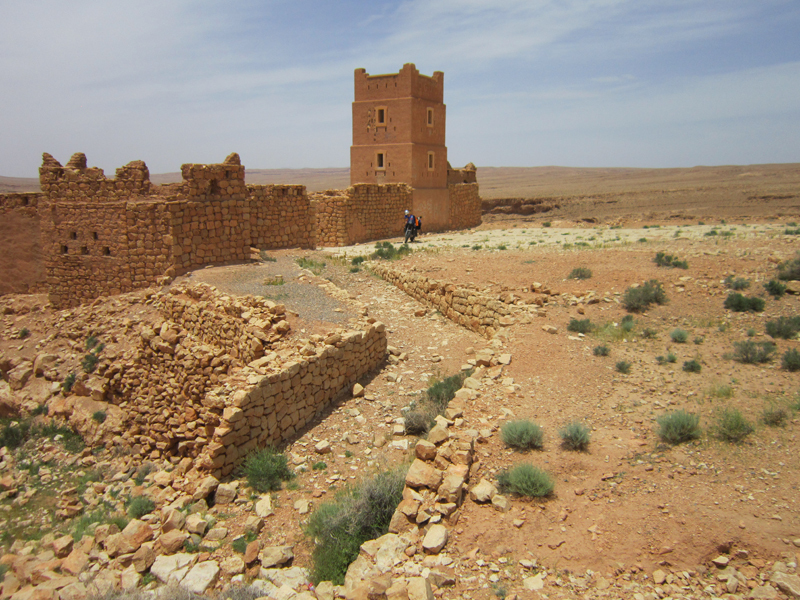 Our investigations took us to two such sites, in southeast Morocco close to the Algerian border: a large fort at Tazzougerte and a blockhouse at Boudenib. The remains of the blockhouse remain clearly visible from the fort. Holding a key position covering the southern approaches to Boudenib, it was built in anticipation of an attack on the fort, which came on the night of 1/2 September 1909. The 40 defenders held off some 400 attackers for almost two days before finally managing to drive them away. But it was a desperate struggle – so nearly the Legion’s equivalent of Rorke’s Drift. Little now remains of the blockhouse. But what of the archaeological evidence? Although little remains of the blockhouse today, contemporary photographs and detailed drawings provide a clear picture of what the structure looked like in 1909. The design was limited by the space available on the summit of the gara. The two storey building was flanked to the east and west by walled enclosures that provided space for artillery positions – two to the west and one to the east – thereby increasing the available firepower. Sections of the western wall are clearly defined but stand at a much reduced height. A small room with loopholes survives intact at the southern end of the west wall – these loopholes are can be seen on the old photographs; and what appears to be a chimney stack survives at the northern end – also visible in the contemporary photographs. To the east of the surviving walls, traces of the low walls of the outer enclosures can just be made out in places, but it is clear much of the building has been dismantled. The sites of the gun emplacements were located, and we intend to continue our survey of these in a future season. Interestingly, a room in the southwest corner of the building is not shown on the 1909 plan for the blockhouse, suggesting that those building the fort deviated from the original design during construction. We know from documentary evidence that the fort was attacked from the south – and for good reason: the sides of the hill to the north and east are very steep, with a clear view of the main redoubt at Boudenib, whereas to the south there is a small plateau about 100m from the summit of the hill directly below the southwest corner of the blockhouse. 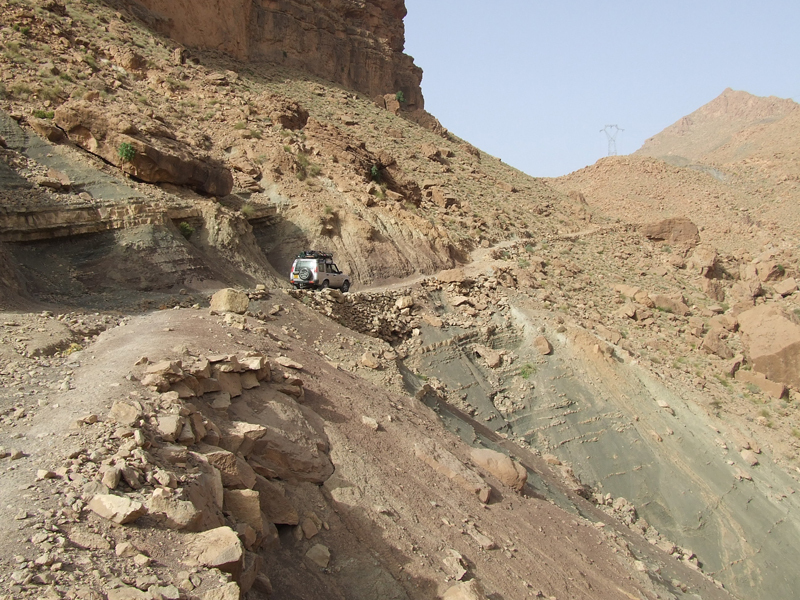 Shrapnel was found here in significant quantities, confirming the use of defensive artillery, and the use of the plateau as a possible assembly and firing position for the Moroccans assaulting the summit. Contemporary pictures show barbed wire strung on metal stakes to screen the site, a standard defensive practice, and our survey located a metal stake on the south side of the blockhouse. Cliffs of the north and east sides formed a natural defence, so barbed wire was unnecessary here. The steep approaches from all directions provided little cover for the attackers, either to hide, or to secure effective firing positions. However, it was also tricky for the defenders to shoot at targets downhill at such a sharp angle, which may account for how the attackers managed to get so close to – and even breach – the walls. The Legionnaires retaliated by dropping explosive charges directly onto their attackers just outside the walls. While we know from contemporary records that the assault on the blockhouse was intense, evidence of combat in the form of expended bullets, cartridges cases, musket balls, and artillery shrapnel was disappointing. The site had remained in use for many years after the assault, and much of the evidence would have been cleared away after the attack. However, we intend to carry out more extensive searches of the wider area in future, which will, we hope, reveal more evidence of that fateful night. 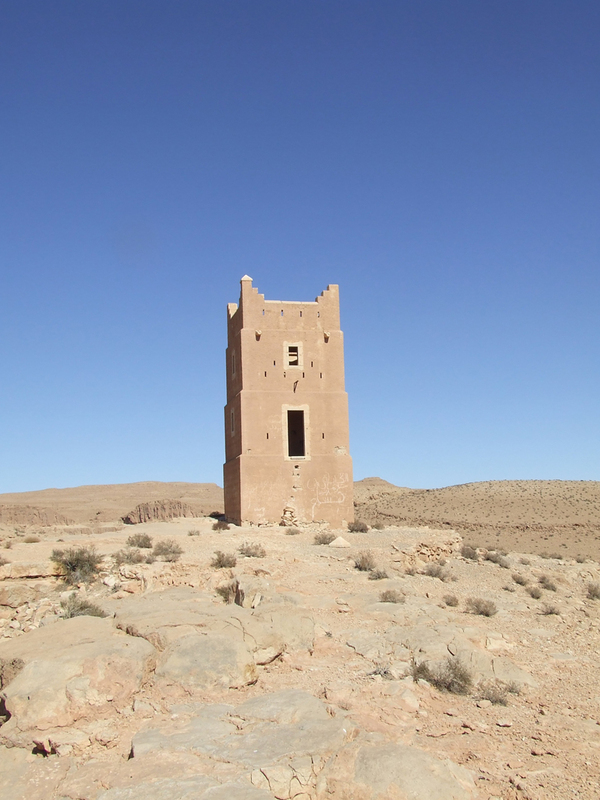 Built in 1926 by the French Foreign Legion, the fort at Tazzougerte sits on a high plateau at the southern end of the Oued Guir river valley, 4 miles due south of the village of Tazzougert, and 15 miles west of Boudenib which, by that time, had become a major French military base. The Sahara Desert is a challenging environment, both for the French Foreign Legion of the early 20th century and for archaeologists today. However, it is thanks to the dry climate and remote location that the structure of the fort is in a relatively complete condition. Field walking and building surveys produced clear evidence of garrison life, including ration tins, tunic buttons, and belt clasps, while spent cartridge cases, spent bullets and grenade fragments were grim reminders of the fort’s military activity. Most finds were located on the two sides of the fort that could easily be approached on foot. The outer walls and tower are still standing, while the remains of inner buildings are clearly visible, with only the roofs missing. To the west of the site is a small oasis on the banks of the river; to the south is the open desert of the Hammada de Guir that continues, uninterrupted, towards an undefined border with Algeria. 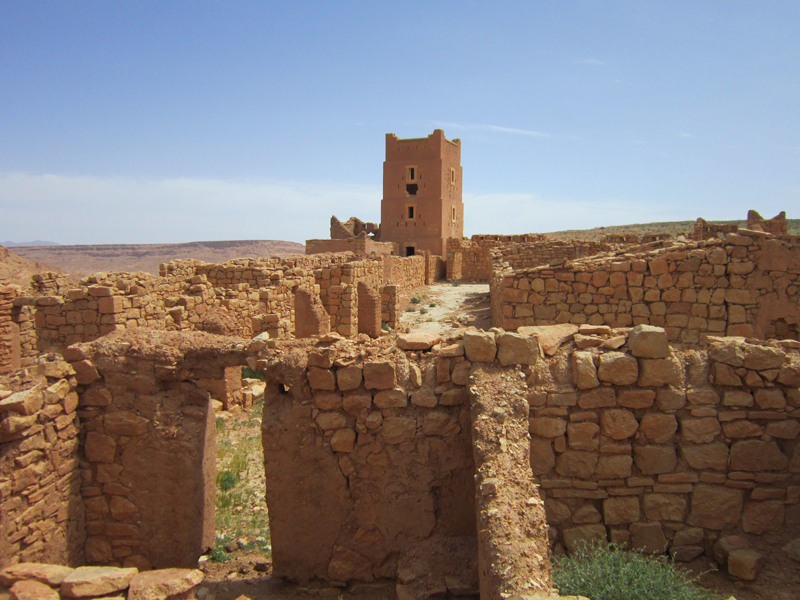 Colonial expansion by the major European powers had left Morocco largely untouched throughout the 19th century although Great Britain, France, Germany, and Spain all had financial interests in the country. However, the French, seeking to match British colonial influence in other parts of Africa, had begun to establish themselves in North Africa, and moving west into Morocco as a natural extension of this programme. In 1907, under the pretext of protecting its citizens following riots and local unrest,France sent in forces to Oujda and Casablanca. Following further uprisings, France and the Moroccan Sultan Abdel Hafid signed the Treaty of Fez in 1912, which established Morocco as French ‘protectorate’. As such, the Sultan remained in place but did not rule, effectively placing Morocco under French control. It did not regain independence until 1956. In the 1920’s, the French conquest and pacification of Morocco was largely made possible by the earlier efforts and activities of the French Foreign Legion. Under the command of Marshal Lyautey, the role of the Legion was to build and garrison forts linking strategic areas, and to quell rebellion wherever it broke out. It was a formidable task: Morocco is a country of challenging terrain of high mountain ranges, sun baked plains, and desert and thick forests populated by fiercely independent tribes who engaged the French in some of the most demanding combat they had ever encountered. “After a few years we shall go farther. But these outposts will remain in the rear. They will be dismantled. They will serve as shelter for passing caravans. Around them market places will be established, and people will forget there was a time when the towers carried guns”. Why were the forts built built? The problems facing the French during their occupation of Morocco were immense: climate, terrain, and a fiercely independent population were all against them. High mountains, heavily wooded in the north, were difficult to penetrate other than through narrow, steep sided mountain passes that became death traps for many ambushed French columns passing through them. Precious water was scarce, and oases much fought over. 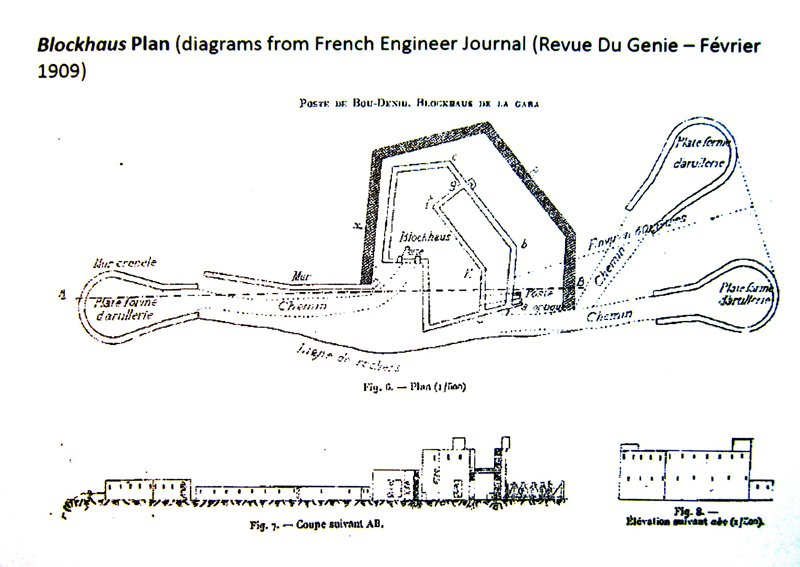 The French, therefore, established a network of large, garrison bases at locations such as Fes,Meknes, and Marrakech, from which units were deployed to dominate the surrounding terrain and enable safe movement for military forces and supply columns. Their secondary role was to ‘show the flag’, reinforcing French control over the local population. “The mountain tribes believed in the right and might of the strongest and a display of arms had to be shown to them”. Legionnaires on sentry duty were required to have their rifle attached to their body with a length of chain, to prevent such thefts. As long as ammunition, food and water lasted a fort could survive for a long time and often until relief arrived. Although isolated, they did have effective communications that could be used to summon assistance, from telephone and radio to more primitive heliograph, carrier pigeon, and bugle calls. After the First World War, regular over flights by aircraft of the French Air Force provided additional cover. They lacked food and especially water. Airplanes had been sent to furnish water by throwing down blocks of ice ……. The area of the outpost is small and the airplanes, flying high and rapidly, had difficulty in dropping the ice into the post”. The uprising in the Rif Mountains led by an intelligent and inspirational leader called Abd-el-Krim saw some of the most dramatic assaults on isolated forts. In 1925, inspired by his success against the Spanish in Northern Morocco, he turned his attention towards the French. The Legion suffered a number of defeats at the hands of Abd-el-Krim’s tribesmen. Those forts that were lost, were stripped of weapons and items of value, and demolished to prevent them from falling into enemy hands: the commanding officer of one outpost, having held out for almost eight weeks, blew up the post, killing himself and his remaining men, rather than let it fall to enemy hands. Such desperate measures reveal just how great the threat had become – why so few remain today. 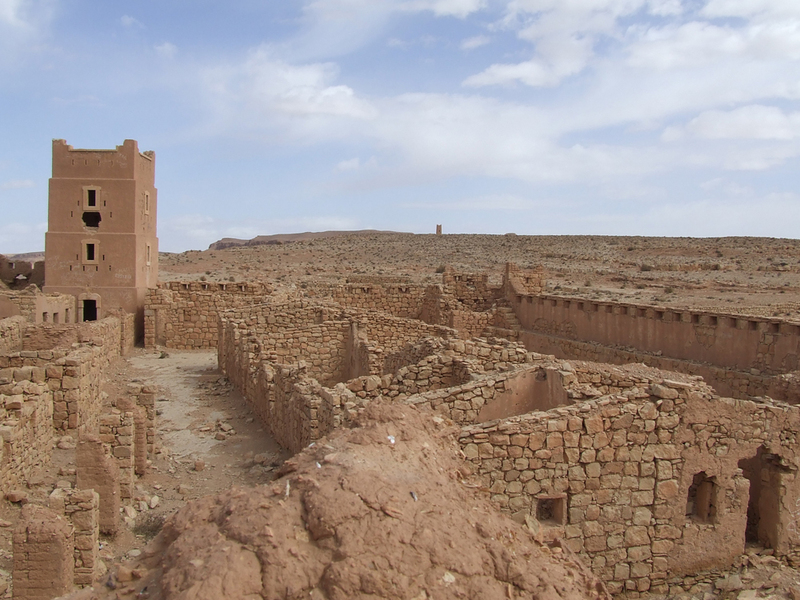 Some of the few forts that did survive were taken over by the Moroccan army, converted into hotels and cafes, or, in more rural areas, quarried for building projects by local farmers. Little archaeological evidence remains, and the Legion Project was set up to record and investigate these remarkable structures before they are lost. Richard Jeynes, Archaeologist and founder of Trailquest. Can you give me the title of a book that gives first hand accounts by former Legionairs of their life at some of these old French outposts. I once knew of such a man in Germany but was unable to interview him before he passed away. Thanks for your interest in history and I look forward to hearing from you. The Flying Carpet by Richard Halliburton gives account of living with the Legion in 1931. Read “In Morocco with the Legion” by George Ward Price , written 1937.